The Four Kardinal Directions: North, Kim, Saint, and West. 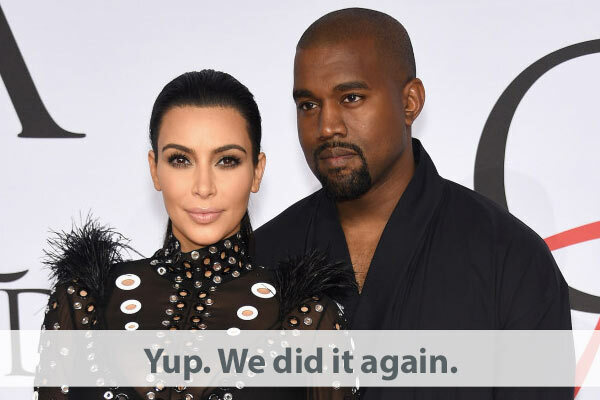 Kim and Kanye’s baby is named Saint West! No word yet on what he’s the patron Saint of, but my bet is Instagram. when Saint West sneezes does he bless himself?